So even though the Carnap was written well before Davidson's paper, we can take it as a potential response: A conceptual scheme is most sensibly construed as a domain-specific vocabulary. I can talk about the same social phenomena, for instance, in terms of bio-anthropology, sociology, or theologically (as the interplay of souls), and there's no clear reason why all the words in each vocabulary need to be reducible or translatable into words from the other vocabularies. Now, there might be other reasons why you'd want to reject the use altogether of some vocabulary (I'm looking at you, theology! ), but it's not clear that we need to reject it merely on grounds of untranslatability, and this sort of theory-specific untranslatability is what Kuhnians (maybe) and others are talking about. 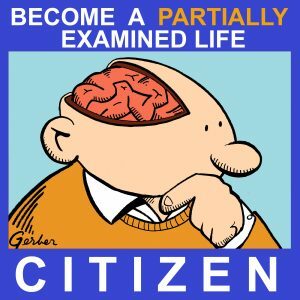 Listen to part 1 first, or get the unbroken, ad-free Citizen Edition. Please support PEL! Both the Quine and the previous Carnap eps have now been set at the $1 level at patreon.com/partiallyexaminedlife! End Song: "Shut Up" by Chandler Travis Three-O. Listen to Chandler interviewed on Nakedly Examined Music #46. 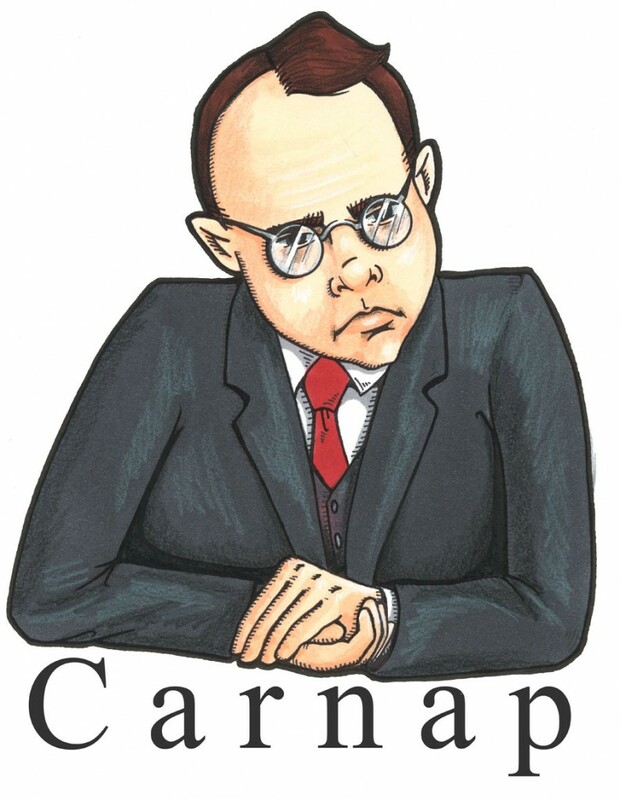 Carnap picture by Genevieve Arnold. Sponsors: Listen to the Outside the Box podcast. Learn about St. John's College at partiallyexaminedlife.com/sjc. 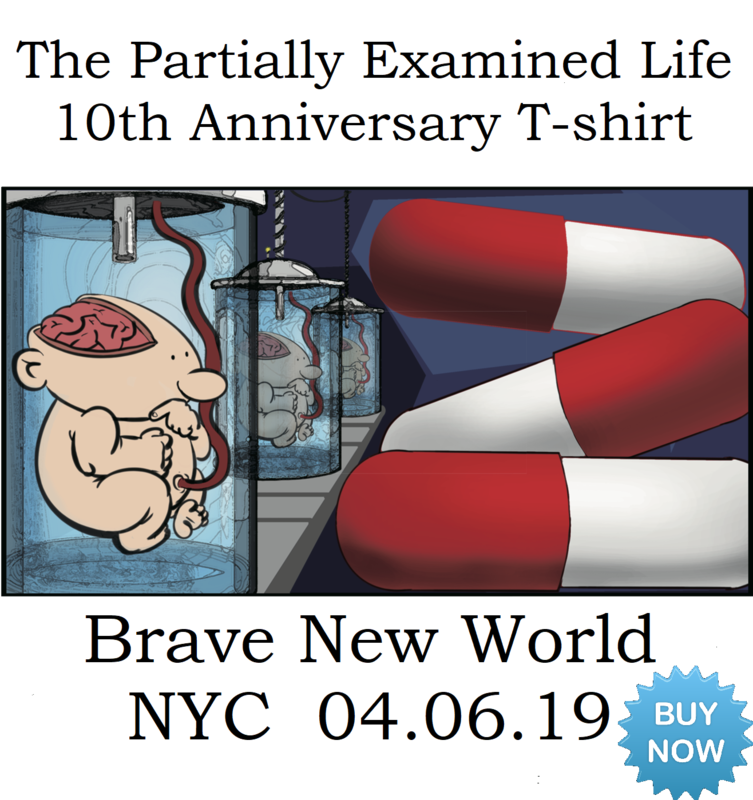 The discussion, especially in part one, but in part 2 as well, kept circling back to holding up “the world” as a singular yardstick against which all potential or proposed schemes could be problematically tested. This assumption of and problematic ‘real word” is unsound. Certainly, the proposal of an alien being encountered by a human is a useful scenario: how is it that the human would, first, recognize the alien as a being, and, next, recognize any signalling the alien might do as attempts at communication? Both could easily be outside any scheme for being or communication available to the human. This line was, however, dropped quite quickly in the discussion. Going back to the sensible world, however, we already have variant, un-translatable (or not fully translatable) schemes for describing sensible differences. One example is light (or EMR in general), which can be usefully characterized as either a particle or as a wave, but not as both at once. Nether can the schemes be translated. A wave scheme usefully explains how tuning a radio works, but not the mechanics of color photography. Other examples can be found.